Amazing vision. Amazing quality of product and installation. Amazing service throughout from Sarah and her team. If you are looking for the ‘Wow’ factor, then Sarah will deliver. We have nothing but praise for her and are now in discussions about a bedroom project. Sarah made our house into a beautiful and stunning home. Such attention to detail and jaw dropping designs turned into our reality. Our daughter commented on her first night in our new home in our new kitchen “mummy I feel like I’m in a movie” just beautiful creations – superstar work from Sarah Anderson. Thank you Sarah Anderson and her fantastic team for making my home look amazing. I would never consider going anywhere else. We were building our dream home and wanted to find a company that could deliver high end kitchen, dressing rooms and bathrooms. From our first meeting with Sarah to everything being installed we’ve been completely amazed at her dedication, flair for design and attention to detail. The kitchen is the heart of our home and the bathrooms and dressing rooms are simply stunning. Sarah and her team are amazing and I would strongly recommend her for any project. Sarah, you are more than just a fab kitchen and bathroom designer, you have become a friend. Thank you. Amazing design by the fabulous Sarah Anderson , who I highly recommend! Professional, understanding and very attentive, it was a great pleasure working with her . Attention to detail is second to none and her unique personality brings everything to life! Massive thanks. 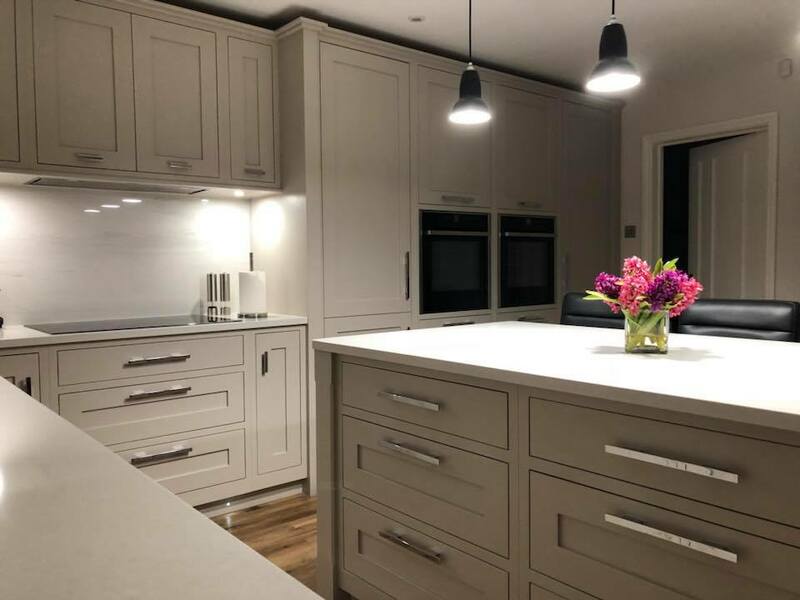 We’re totally in love with our dramatic new kitchen which is all down to you and your stunning novel ideas – thank you so very much.